Construction defects and disputes are complex problems requiring the knowledge and experience of accomplished professionals. Our professional engineers and qualified experts work together to provide high quality and efficient services to the insurance, legal and private industry sectors in matters involving the investigations of materials and structures. AFE provides technically accurate, comprehensive and defensible inspection reports of residential, commercial, industrial and governmental facilities. Some problems with commercial and residential buildings may be related to construction defects. AFE provides full service forensic investigation and engineering capabilities in one firm. Our professional engineers and qualified experts work together to provide high quality and efficient services to the insurance, legal and private industry sectors in matters involving civil and structural failures, water intrusion and storm damage. Applied Forensic Engineering's mechanical engineers are highly skilled in the investigation of mechanically related failures. AFE's engineers perform failure analyses by examining a suspect device to determine if, why, and how it failed. After a potentially damaging event, a damage assessment can also be conducted on the entire system to determine which components are damaged and which are not, so that the actual scope of the loss can be established. Applied Forensic Engineering, LLC can provide a full range of fire investigation services including fire scene processing, evidence collection and storage, photographic and video documentation, as well as accurate and thorough reports delivered to you in a prompt and efficient manner. We will address issues of burn patterns and sequence, as well as chemicals that may have contributed to the event, to accurately determine the fire/explosion cause. We have extensive experience performing inspections for condominium conversions and due diligence inspections. Projects have ranged from large multi-building apartment complexes, shopping centers, high rise office buildings, and large hotels to simple duplex structures. We offer a complete range of services regarding product liability and subrogation. Our analysis of a product, material or equipment can determine if the item failed, if it was being used in accordance with the manufacturer's instruction and intent, and if the product had been maintained according to manufacturer's recommendations. Applied Forensic Engineering has extensive experience in the investigation and analysis of structural, civil and mechanical engineering failures, construction defects, product and material defects, roofing and moisture intrusion, accident reconstruction, workplace and construction site injury and many other types of property and casualty losses. AFE provides clear and concise answers to both minor and complex technical issues in a timely and cost effective manner. Engineering Facade, Condominium Conversion, Roofing Defects. Mr. Steve D. Hodge, P.E. is the firm's Principal and has more than 36 years of experience performing and managing civil, structural and environmental investigation, development and construction projects. He has acted as project manager and owner's representative for numerous retail, commercial, industrial, and manufacturing facility building efforts throughout the United States and internationally. He has managed approximately 100 asbestos & lead surveys and abatement projects from New York to Florida as well as performing over 100 due diligence and condominium conversion investigations. During the past twelve years, his practice has been limited solely to forensic engineering cases and expert witness services. 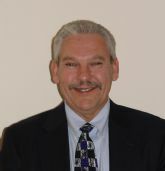 His experience in design and construction has led him to be called on to perform over 650 forensic failure analyses including construction defects/disputes, structural, roofing, foundation, vibration, waterfront, underwater, geotechnical, water infiltration, product defect, production piping, slip/trip and fall, and fire/explosion origin and cause investigations. Qualified Professional Engineer, Licensed in Florida (Connecticut and New York inactive) with more than 35 years of Civil Engineering and construction experience. Has provided testimony for cases in Circuit, Superior, and U.S. District courts. Certified Fire and Explosion Investigator. Three years of international experience in the Caribbean, South America and Africa. Experience as a contractor, consulting engineer and owner's representative resulting in an overall understanding of construction projects from all angles. Certified Open-Water Scuba diver with over 200 work related dives.